join up http://simsportleagues.com/index.php/infohere for a team. When Daniel Williams retired before the 2032 season, it was fitting that Bryan Kambala was there to describe Williams career. Kambala, after all, had made the passes on the fast break that set up hundreds of William's trademark one-handed swooping dunks. "Daniel Williams was one of the top 5 -- top three -- players in SimNBA playoff history," Kambala stated at the news conference in which Williams announced his retirement. Williams has said the Nets 2029 title against his original team who drafted him, the Houston Rockets, was the sweetest of his three championships. The series went 7 games and Williams sank the final bucket in a 1 point win. By the time he retired, Williams owned a Playoff and All Star MVP award. He was a member of three SimNBA championship teams with the New Jersey Nets. His career averages of 30+ points and 10 rebounds per game in a career of over 1000 games saw him ranked 3rd in All Time points scored. By the time he was a ninth-grader at Junior High Williams basketball exploits were already making front-page news and after a steller collage career Williams at 7'2 was ready to make a huge impact in the Pros from day 1. ...you simply cant pass on a guy this good at #2. Has a huge body, like Lee will be a future all star, great low post scorer who will clog up the middle and block shots. Not as pro ready as Lee, but his potential has scouts licking their lips. It was Houston who selected Williams with the #1 pick and Williams put together a respectable rookie campaign. But in the hieght of his carrer, averaging 30ppg in six seasons with the Rockets, he was traded in a blockbuster deal to New Jersey, for a reported four 1st round draft picks. It wasnt long after Williams arrived at the Nets that Williams and fellow HOF members Ed Smith and Bryan Kambala strung together 2 straight titles. Williams names Playoff MVP in 2024 as the Nets stomped Phoenix in 5 games. In 2023 New Jersey was the dominant team in the league. The Nets had the best regular-season record, 62-20, and led all teams except Los Angeles in scoring. The Nets swept through the playoffs, losing only three games through the Eastern Conference Finals, and beat the Clippers a seven games for the SimNBA championship. And Daniel Williams had arrived, becoming the leading scorer (27.6 ppg) and second-leading rebounder (9.4 rpg) on the club. As always, he shot well, finishing the regular season with a .572 field goal percentage. In 2029 With Williams, Smith and Couture filling the lanes and Farve running the show, the Nets developed one of the most feared fast breaks in the history of the game. Again, Williams rose to the occasion in the postseason, scoring 21.5 ppg. 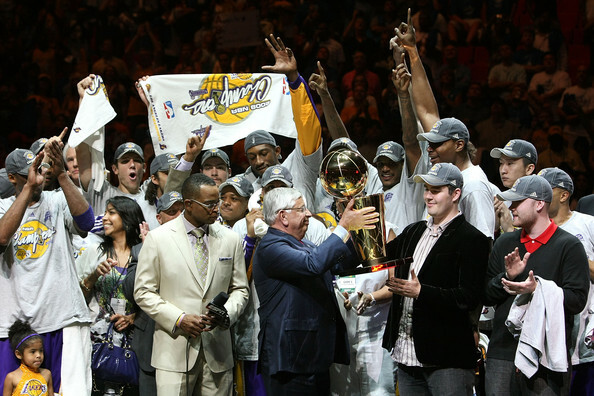 He later called it the championship that meant the most to him. In 2032, Williams and former Hornet Carl Thurman were inducted into the Simnba Basketball Hall of Fame. "It's not just because it was my third SimNBA championship, but that we did it in the [Nets] Center," he told Sport magazine in 2031. "That was the one I cherish the most. There was a lot of attention to the fact that they'd let me go, so I had a lot of incentive." Throughout his career Williams was superb, adding his own take to the PF/SF positions. Besides averaging a cerrer of over 30 ppg in he became an excellent passer from his forward spot. His assists increased to 3.5 per game. And in the playoffs he was, as always, "Big D Will". After the 2029 title Williams played three more seasons before retiring prior to the start of the 2032 campaign. He took with him 33,549 career points and a truckload of golden moments. Fans and former teammates viewed his departure as marking the end of an era, and the always-cool Williams was not oblivious to the feelings. "I can remember coming to the Nets and being alongside the likes of Ed Smith, Bryan Kambala, Couture, and Rodney " he told the New Jersey Times. "Now I find myself in that situation. Guys are telling me how they were in junior high, watching us beat the Suns in '24. I can't be that old." Williams will be remembered for his breathtaking athletic skills -- the blinding speed, the smooth, effortless glides to the hoop, the one-handed tomahawk jams. And he will be recalled as the ultimate clutch player -- his career postseason field goal percentage ranks among the top 10 on the SimNBA's all-time playoff list. He could play a variety of roles in the paint and due to his ability to score outside was a dangerous SF too. His 33,549 points is still the 3rd best of all time and .499% is unheard of as a big. Add to that 13 All Star appearances and 6 All League D awards and being named to12 All League teams. Truley a great career. "I don't think there has been or will be a better forward than Daniel, and I don't think people appreciated that," said his former coach, Blalock, to the New Jersey Daily News upon Williams' retirement. "He was always such a quiet guy. But when he was in his prime, I can guarantee you, there wasn't anybody who could touch him." Thoughts: Hockenberry gives the Nets a very good down low player at 6'11 280 pounds, Hockenberry is going to take up a lot of space. He also knows how to use his girth to score inside (B+) and to be a very good defender (B+). His rebounding is solid as well (B). Put all of that together with an A potential, and Hockenberry could be a building block down low for the Nets. This is the best possible pick for the Nets. With no franchise defining point in the draft hard to argue with getting a possible franchise big. The SIMNBA 2029 title will be contested between aguably the best teams from both the East and WEst Conference. The Houston Rockets and New Jersey Nets ! The Rockets like a faster paced game and prefer to hit the ball on the outside with their fieldmarshall PG Streigel running the O. They do have other good outside shooters in support with the likes of Lee and Pack and the wings. The Rockets play an agressive style on D that pressures their opponent all over the court. The Nets are a little more conservitave and do rely on getting the best possible match ups for Smith and Couture. Don't let Gow fool you he can play and plays his role to perfection. Defencivly they dominate the paint but are a little timid on the peramiter. This will be huge, at first look you would think the best player going around in Streigel will punish they over rated career role player in Gow. But I really dont think so, Gow can compete, he wont win but he will do his job, the concern is how long can Gow stay in the games as the backcourt rotation for the Nets is poor. I see Streigel posting nice numbers but Gow will answer back with a few of his own. This will be another massive match up. It is widely agreed the Nets will win the war inside and Pack/Streigel should torch Deyse/Gow. So it may boil down to this. D.Will is a future HOF and champoin must have a huge defencive game rather than on the offence side. If the Rockets get good # from Little along with the expected 20+ from Streigel and Pack its all over for the Nets and Of course D.Will will have to score his share too, so a massive job for the champ. Rockets with a quicker tempo score more #5 PPG and are top in FG% with Streigel they are #1 in 3pt% too (#13 Nets). Nets are not to far behind being #10 ppg but their inside game gives them some safe shots #4 FG%. As expected their inside muscle sends them to the line often #5 as opposed to the Rockets #28. ON D. Nets are #2 in PPG and very stingy .426 FG% #2 the 3pt D is a little concernig at #11. The Rockets pull their weight on D also #6 PPG #4 FG% and 10 3PT %. I think the Rockets will get up, as history shows most great teams are driven by a top PG and that is Streigel. I dont see this going all Houstons way as the Nets, as known do have clear advantages in match ups also. It will really depends on who gets the momentum and whos game style matches get played at. My Tip ROCKETS in 6. Good Luck to both Red and Mott. Bamf:Hello SimNBA fans around the world!! 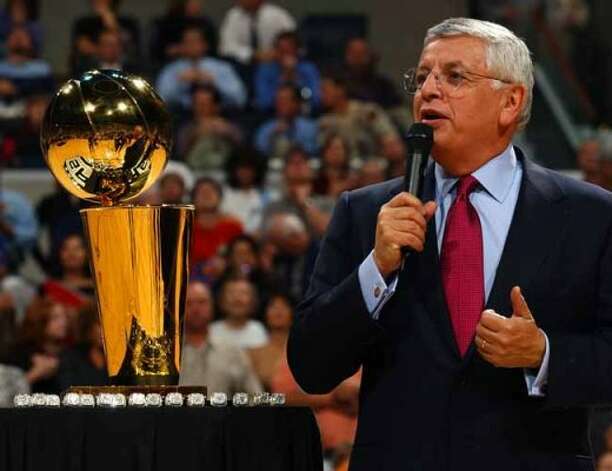 Today we are here to present the 2051 SIMNBA Larry O'Brien trophy to the winners in a very exciting 7 game series against the Los Angeles Clippers the New Jersey Nets!!!!!!!! It is my pleasure to hand the trophy over to Nets Owner/GM Lordbacon7!!!! Great year really fun to watch congratulations! Bamf: Now we will present the MVP trophy for the most valuable player of the finals. This player is::Hockenberry and Rusin very nervously puffing their marijuana cigarettes::.........................PF Ed Hockenberry!!!!!!!! Hockenberry: Thank you commissioner, I am not about individual awards. Really just like to thank my team and coaches with out them this award would not have happened. The Nets family is a great place to be very glad to help bring them and the city another title. When i broke my leg mid season these guys kept my moral and kept me positive and I would just like to thank them for that. Quick shout outs Mo Mo, Lou, Big Pete!!! See you boys soon!!!!!!!! From LordBacons post on winning the 2051 title.